Shofur has one of the largest selection of charter buses in Manchester. We'll arrange to take you anywhere in Manchester or across the country. Although you will find many rates and details throughout this page, please feel free to call us anytime. Our reservation staff is available at all hours and is here to assist you in getting the best value for your bus needs in Manchester. Manchester New Hampshire is one of the oldest towns in New England dating back to the early 1700s. Lying along the banks of Merrimack River, once seen as a source of power, is now the center of activity in the city's revitalized downtown core. This textile center's former red brick mills that lined the river now house a growing gallery and dining scene. New Englanders looking for a better quality of life have made the city one of the fastest growing in the northeastern United States. In 2009, CNN rated the city thirteenth on a list of the best cities in which to live and launch a business in the United States. The city is nestled amidst some of the most beautiful countrysides in the United States. Still, it is only hours from many of the major metropolitan of the Northeastern seaboard. 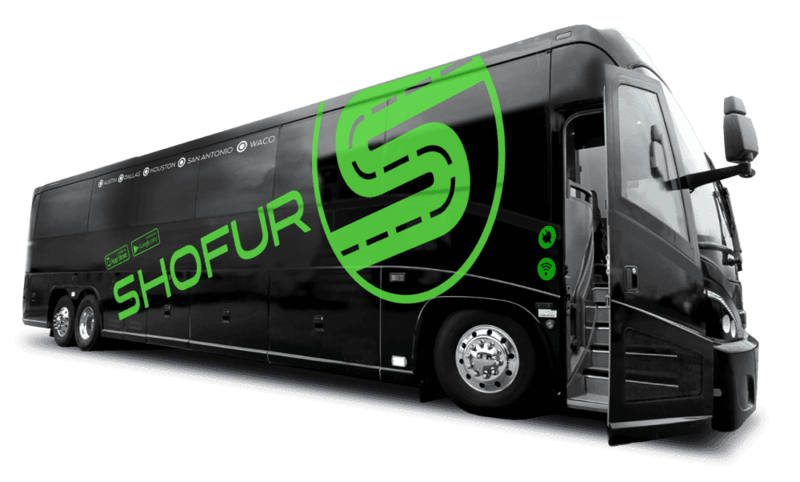 There is no need to worry about working out all the travel details when you work with a charter bus service like Shofur. The trained professionals at Shofur can be relied upon to get to your destination on time and safe. Call the experts at Shofur about planning your trip to Manchester at 1-855-826-6770. The central city is quite compact and has seen a great deal of development since 2000. One City Hall Plaza stands 22 stories high, while the nearby Brady Sullivan Plaza is twenty stories. While you find a number of new buildings downtown, the most popular destination is the Amoskeag Millyard Historic District. These former brick textile building that stretches along the riverfront now house boutique, galleries and some the city’s best restaurants. Visitors will note that New Hampshire has no sales tax. The city has the region’s most important art museum, the Currier Art Museum. The Currier Museum of Art is located on the east side of the river just a few blocks off of Corey Square has recently undergone major expansion. The museum also operates tours of the nearby Zimmerman House, designed by Frank Lloyd Wright. It is also home to the New Hampshire Institute of Art. The city also home to a number of other museum near the riverfront, among them is the Historic Association Millyard Museum, Lawrence L. Lee Scouting Museum, and the SEE Science Center. The city has a number of beautiful parks. The Merrimack River Park is a popular lunch spot and provides beautiful view of the waterfront. Livingston Park with the adjoining Dorrs Pond and Derryfield Parks are large greenway in the middle of town and are popular venues for summertime festivals and concerts. Bear Brook State Park sits right on the northern edge of the city with Charmingfare Farms, a large petting zoo right across the road. Locals have been picnicking and fishing at Lake Massabesic on the east side of town now for centuries. Probably the most popular day trip destination from town is the White Mountains. The White Mountains have always held a special place in the consciousness of New Hampshirites and the area provides a wonderful array of outdoor activities including camping, rock climbing, and skiing. But you don’t even have to leave the city limits to ski. McIntyre Ski Area, located in Derryfield Park, has a ski school, snow tubing, skiing and snowboarding within the city limits. For the truly adventurous, the city is the home of the Morningside Flight Park. The park specializes in hang gliding, paragliding, power paragliding and a number of other adventure sports for beginners and experts. A popular destination for day trips are the historical railroads that operate in the surrounding area using old-time steam engines. The trains have a number of different seasonal theme and routes. A bus rental can take your group to the station or where you board the train for a several hour trip through the mountains. One particular popular trip is the Cafe Lafayette Dinner Train where you will enjoy a wonderful 20-mile trip on the western slopes of the White Mountains in restored 19th-century dining cars while feasting on world-class meal using seasonal farm-to-table ingredients and local wines. The city has a vibrant art community with the New Hampshire Institute of Art making its home there. Manchester also sponsors and symphony and opera. Southern New Hampshire University, St Anselm College, and the University of New Hampshire at Manchester, also have active performing art departments offering plays, exhibitions and concerts year round. There are several venues in the city, the largest among them is SNHU Arena located which host top performers from around the world. The historic Palace Theater on Hanover Street.is a popular venue for both theater and music. Every Thursday night at Milly’s Tavern is the Slam Free or Die, a weekly poetry slam. The event was voted the “Best Poetry Venue in the World".